Planning to visit some important place? For various places, there are different ways in which you can get dressed up…. Planning to visit some important place? For various places, there are different ways in which you can get dressed up. Do you have proper ornaments for the same? Or the dresses, which can help you get ready for the specific places? Even if you have all of those, you might still need something else – some accessories, which will help you to deck yourself up for some special occasion. Among these accessories, what attracts the attention within the shortest possible time is a bag. 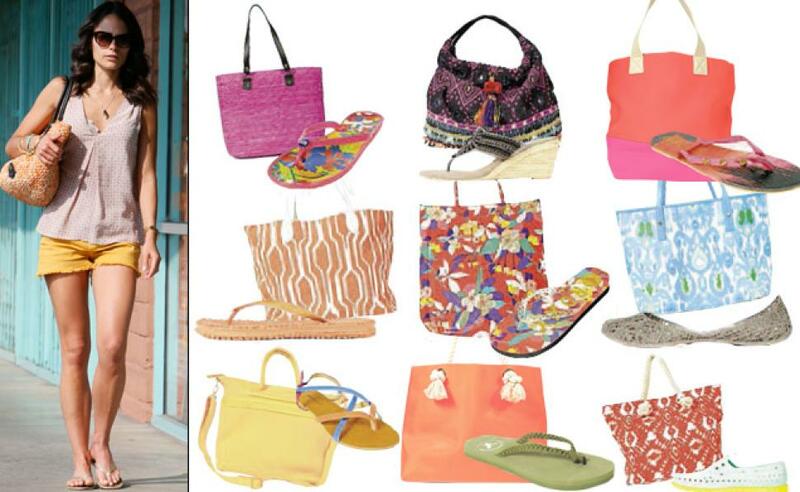 And if the bag is amazing, it can even add a fashion quotient to your appearance. While you can have some simple bags, you can also go for clutches bags, which can help to give you a fashionable look. So, here’s a quick look at some of the options you might have. You can choose from the best bags to find the ones that will go perfectly with your dress. Clutch it to your side and don’t be surprised to have the stare of everyone you come across. It’s one of the major qualities of this bag that it attracts the attention of almost everyone within the shortest possible time. The Blue Eagle Clutch is created by the artisans keeping in mind what women of the present time want. And these are what make this bag a perfect choice for modern women of all age groups. Embroidery has long been a favorite of the fashionable people. The effort that’s involved in creating an embroidered object is quite a bit. And the product it results in is usually amazing. So, if you get a bag with embroidery, it is just going to be an amazing addition to your list of fashion accessories. And if you are looking for such a bag, then the Black Beauty Embroidery Bag is just the thing you need. It helps to make a style statement for you and you can carry it almost anywhere as well – to social gatherings, work, or business meetings. Bags can be of different colors or designs. But in some cases, what makes them different is a deft touch of some unique shade in it. The Golden Gate Clutch is an amazing example for this. This handcrafted clutch has the quality to be a perfect fit for both, some formal event or some party with an electrifying ambiance. If you want to give a new touch to your fashion statement, this clutch bag is a must for you. It is important to have some bold colors in your appearance. And if your outfit does not have any such shade, then the Golden Gate Clutch is a must for you. It has a bold look that it creates with the use of beads as well as embellishments. These make it both stylish as well as classy as an amazing fashion accessory. Ever seen the drawstring bags? Don’t they look cute? If you feel they are not too professional, well, you might not be too wrong. But if you want to create a homely look or if you are going to a place with a warm ambiance that’s not too professional, these bags can be really perfect for you. If you want some smart color for your product, you can go for the Red & Black Drawstring Bag. 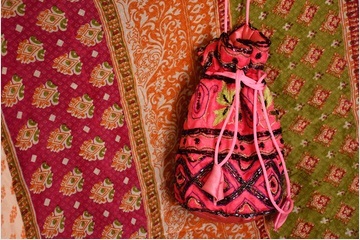 It is a type of potli bag, which can come in handy for you, no matter where you are going. And the amazing design and shades of the bag make it a perfect fit to go with different types of dresses that you wear. No matter how you are decking yourself up while going to a place, your appearance is never complete without a bag. And what can be a better thing than a handicraft bag.